Our outdoor roller banner comes complete with one 800mm x 2000mm full colour high quality printed graphic. 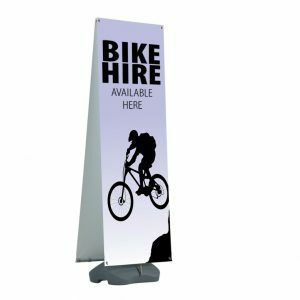 The stand can be used single or double sided and has a choice of visual graphic height. The base is wheeled for easy maneuverability and can be filled with water or sand for extra stability. There is also a twist out foot for stability if required.